You may have seen barbeque teams and caterers with mobile smokers. 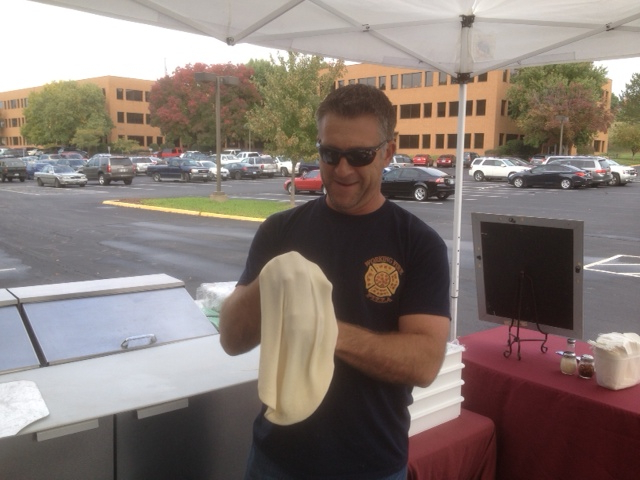 You may have seen food trucks with ovens for cooking pizza. But have you ever seen a mobile wood-fired pizza oven? 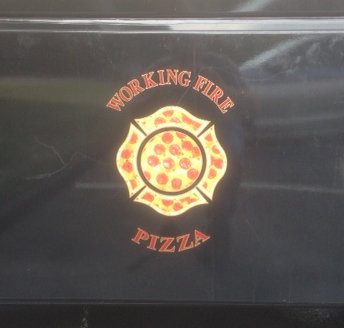 Working Fire Pizza trailers their pizza oven every Saturday and Sunday to Sugar Creek Winery in Defiance where they offer pizzas topped with cheese, pepperoni, sausage or tomato and spinach. 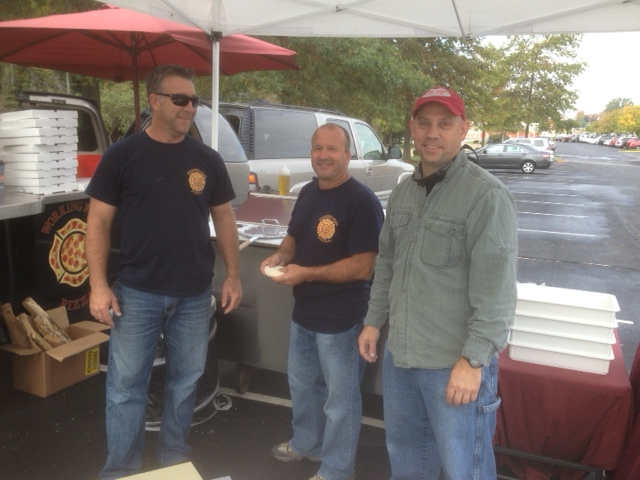 The Working Fire Pizza crew is (L-R) Pat, Ken and J.R. who are also actual Wentzville firemen. On Thursdays, they bring their oven to Barrett Woods office complex at Manchester and Barrett Station Roads (where these photos were taken as they were setting up on 10/17). 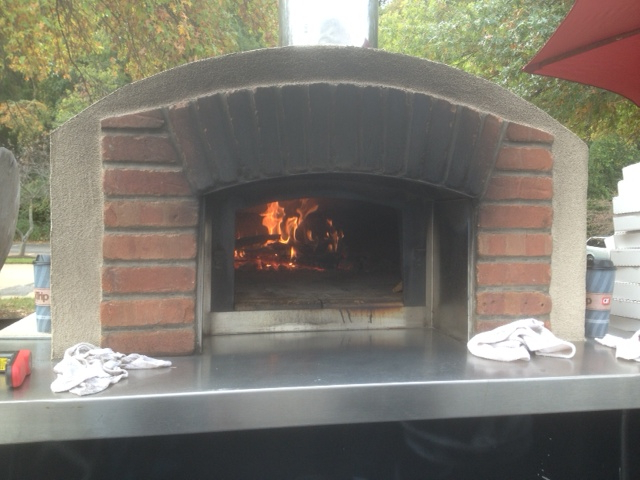 They begin serving pizzas—fresh from the oven—around 11:00 a.m. They have also cooked pizza on the tarmac at Lambert Airport for employees of Southwest Airlines. You can see photos of that and other Working Fire activities by clicking HERE to go to their Facebook page. This entry was posted in Uncategorized and tagged Barrett Station Road, Barrett Woods, Defiance, Lambert Field, Southwest Airlines, Sugar Creek Winery, Working Fire Pizza. Bookmark the permalink.